No problem. It is not complicated. In RI, they skip that dropper loop and use an 8 oz egg sinker above the barrel swivel. And it works. You guys and your stupid knots. Oooh touchy aren’t we. We bust them here. Get used to it. That would also pretty much end your tangle problem. But people will look at you weird and snicker in NJ, until you out catch them. Barrel swivel...pffffffftt. We ain't striper fishing. Lew, if you want to hang down here you need thick skin..and I mean thick. Don't **** with us old timers. This is for striper fishin’. 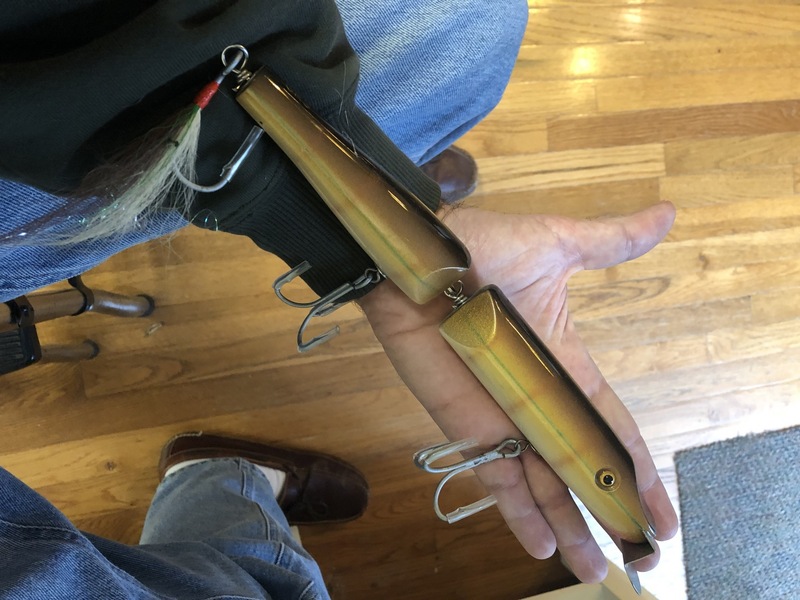 I like to leave the hook guards on for an easy release... much better than crimping barbs. I paid for that one... that makes me a Plug John.